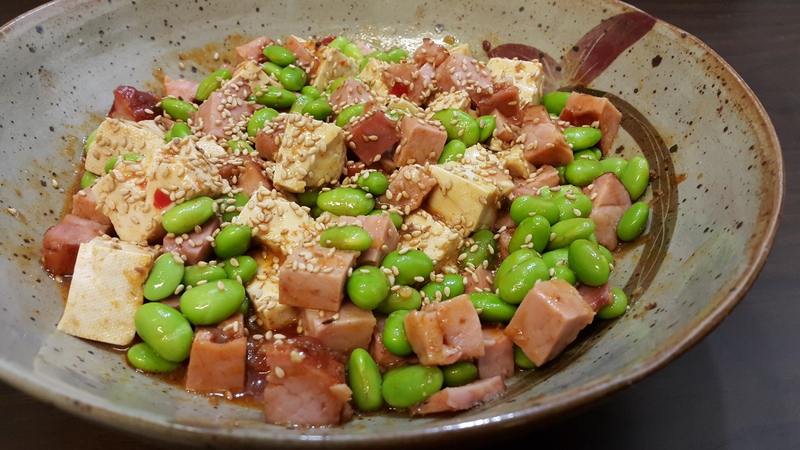 Another quick Japanese inspired dish, put together with Edamame from a hundred years ago! I’ve been wanting to use it forever and this is the perfect chance. Using only 3 ingredients and 1 sauce packet, you can put this dish together in a flash especially when you don’t feel like cooking at all. I cooked this in the microwave because everything is practically cooked already. 200g or more smoked ham or spam, whatever is good for you! 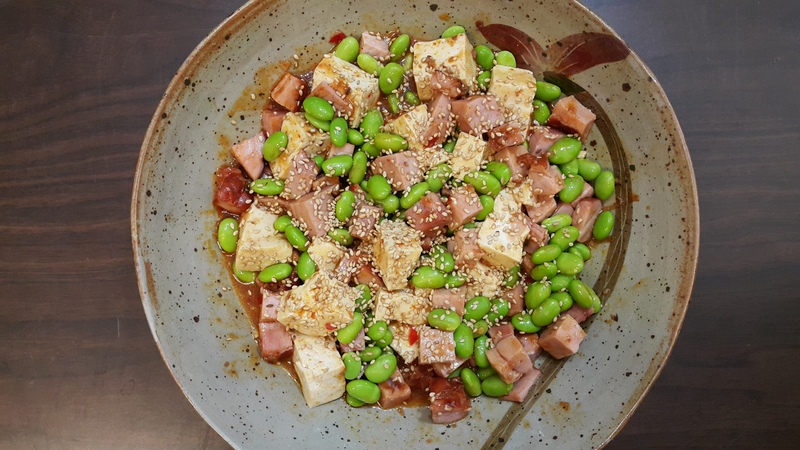 Cube the tofu and ham, place in a bowl and pour the mapo tofu sauce over evenly. Microwave for about 3min. Give it a stir and then microwave again for 3 min. If you want to cook it more, blast it for another 2 min. Mix again evenly. Pour the cooked edamame beans and mix till well distributed. And that’s it. Enjoy a quick fuss free meal! Oh and don’t forget to sprinkle some toasted sesame seeds over, maybe a few drops of sesame oil won’t hurt either!